Women’s March in Berlin—Press Coverage! 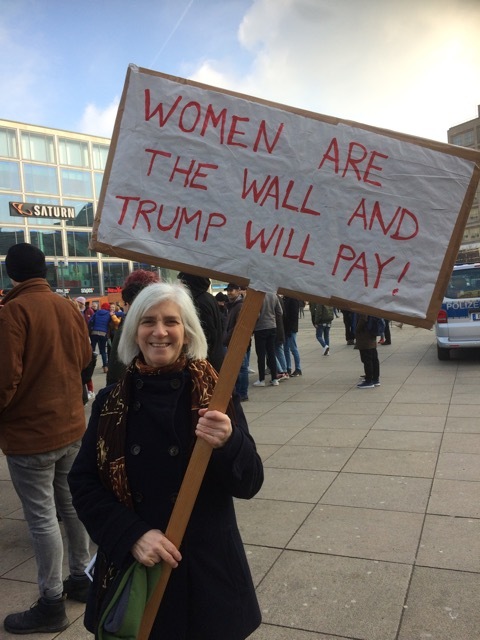 The article briefly describes the demo, which was organized by Democrats Abroad Berlin, but it leaves the major part of the story to be conveyed by the accompanying slide show. The photographs capture the signs, the hopeful mood, and the youth of many of the participants. Whether or not you were present, it’s worth a visit to the Pressenza website; be sure to scroll down to see the slide show. This entry was posted in Home and tagged 2019 Women's March in Berlin. Bookmark the permalink.